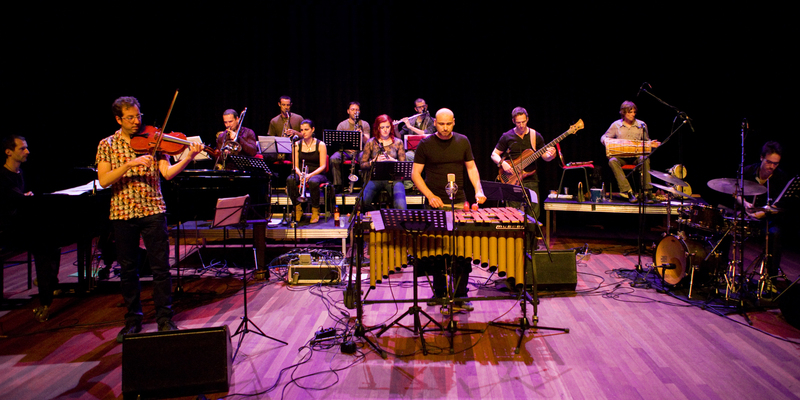 The Hague Ethospheric Orchestra (THEO) is a new jazz orchestra based in The Hague, The Netherlands. THEO is different: a new fresh sound, great interaction, fantastic soloing, special instrumentation and cool grooves make this orchestra a treat for the ears. Eclectic arrangements and frequent guest soloists make each concert a unique experience. The past guest soloists that worked with THEO include the top of the national and international jazz scene: Yuri Honing, Eric Vloeimans, Anton Goudsmit, Alex Sipiagin, Norma Winstone, Harry Sokal, John Ruocco, Michiel Borstlap, Michael Moore, Oene van Geel, Jesse van Ruller.